Today, I’m going to share my top tips on how to create a low maintenance WordPress website. If you’re planning to maintain a WordPress website yourself, there’s plenty you can do to make it low maintenance. All WordPress websites are NOT created equal! Some are very simple and low maintenance, ideal for non-techien. Others are so complex and high maintenance that you’d need a team of experienced developers to keep them running smoothly. Follow these tips to create a website where you have a more realistic change of maintaining it yourself. There are 3 main factors that affect how hard a WordPress website is to maintain. These are: Your theme, plugins, and hosting. We’ll discuss each of these in turn. Which WordPress theme you use is one of the most important factors that affect whether your website is low or high maintenance. Most people choose a theme based on what it looks like and what features it has. Instead, let’s look at the considerations that will affect the future maintenance of your website. You’ll see that this paints a very different picture. At the simplest end of the scale, you could use a very simple theme. This is basically just a ‘skin’ that adds style to the default features that are built into WordPress. If you choose a simple and well-coded theme, you can create a nice low maintenance WordPress website. There’s less to test, and it’s less likely to break after an update. At the most complex end of the scale, you could use a theme that’s packed full with styling options and functionality. 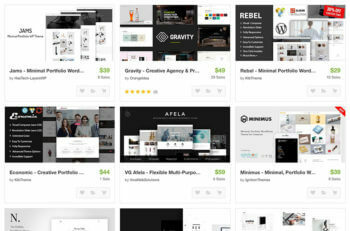 At the moment there’s a big trend for huge themes that have dozens of styling options and layouts. They have custom post types to add features such as portfolios that don’t come with WordPress itself. There are dozens of options for styling your content. Not to mention extra widgets, bundled plugins to add functionality such as sliders, and drag-and-drop page builders. I could list a lot more that you get with this sort of theme, but you get the idea! There are also ‘app themes’ which include complex functionality that serves a certain purpose. This includes job board themes, real estate themes, or directory themes. Both categories include well coded themes and horribly coded themes. The quality varies a lot whatever type of theme you choose. However, choosing a simple theme is definitely the lowest maintenance option. I do understand that if you’re not a techie and you’re building your own WordPress website, it’s tempting to choose a fully featured theme that has lots of impressive-sounding functionality included. The ‘big’ themes tend to have the best designs and are much more flexible as you can change the styles via the theme options panel without having to edit any code, and you can mix and match the layouts in the theme demo site to suit your website. Follow these tips to choose a low maintenance theme that still meets your needs. Choose a theme that meets your requirements in as simple a way as possible. For example – you only need 1 homepage, so I recommend checking whether the theme demo site has a homepage that would suit your needs. That’s what matters, not that you get 11 homepage layouts to choose from! Do your research and check whether the theme has been developed by a reputable company. If you’re looking on a theme marketplace such as ThemeForest or Mojo Themes then look at the customer reviews and ratings to get an idea of quality. I hate recommending something just because it’s popular. However with WordPress themes, this is actually a relevant consideration to help you find a good one. 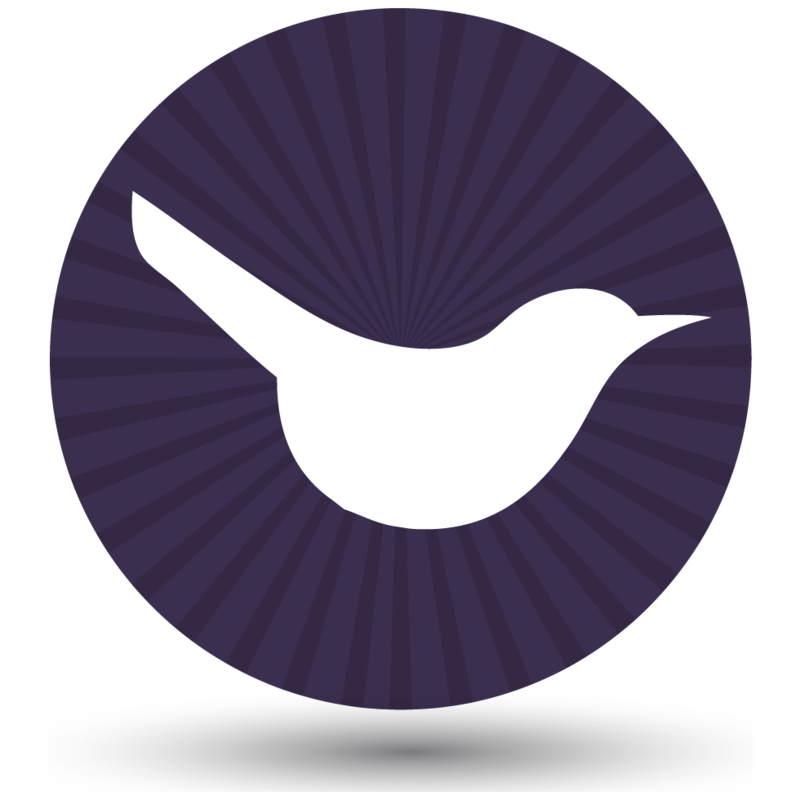 Popular themes with thousands of users will be well supported. You can be more confident that the theme author will continue supporting their theme for the foreseeable future. You know this because they’re making money from the theme! Another benefit to using a popular theme is that as well as the testing that the theme author has done, it has been thoroughly tested by other people who have bought it. This means that they should have already spotted and reported any major bugs with the theme. The author has already had a chance to fix the problems before you buy it. This is community-based testing at its best. It’s not always easy to find out how popular a theme is. If you’re using a theme marketplace such as ThemeForest then you can look at how many sales the theme has had. If you’re looking at independent sites then you might need to do a bit more research. Foe example, check whether the theme is mentioned elsewhere on the web. It’s also worth considering how old a theme is. A very new theme – especially one from an inexperienced author – won’t be as well tested as a more established theme. It has inevitably had fewer users to spot any bugs. But at the same time, don’t go for a theme that is too old. It’s fine to choose a theme that’s up to a couple of years old if it is still actively supported and the author is still releasing regular updates. However, older themes are likely to use older technologies. Also, the design of your website will look dated more quickly. So don’t choose a theme that will date your website and make it harder to maintain before you’ve even started. The bigger WordPress themes often come bundled with plugins that provide specific functionality. This might include sliders, drag-and-drop page builders to create more complex page layouts, or plugins that add extra styles for your content. Bundled plugins aren’t the end of the world. However, they do make it a bit harder and more time-consuming for you to do your own software updates. A lot of our clients are perfectly capable of updating a simple theme, but come unstuck when it comes to updating bundled plugins. The bundled plugins may not appear on the main updated page in WordPress. Follow the documentation carefully and manually check for updates on a regular basis. Or avoid bundled plugins if possible. If you’re planning to update your own website, it’s best to use the theme as it is designed to work. Don’t choose a theme with the intention that you’ll play around with the code and make customizations to suit your exact requirements. You can use a child theme to make code changes to a theme that won’t get lost when you update the theme in future. However, if you’re not a techie, then having a customized theme will make it more likely to break when you install updates. So it’s better to choose a theme that is right for you in the first place. Use these tips when you choose a theme, and your website will be much easier for you to maintain yourself. As well as getting the right theme, the plugins on your site will also make a big difference. Let’s talk about plugins next. 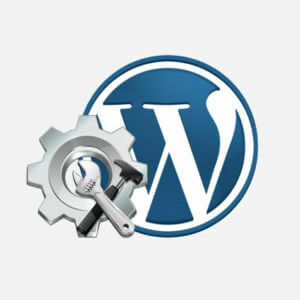 A plugin is a piece of software that you install on a WordPress website to add extra functionality. There are small plugins that perform a very simple task, and hugely complex plugins that add major functionality such as e-commerce, membership or events booking systems. When you’re building your own WordPress website, it’s tempting to install lots of plugins just to play around and see what they do. I’ve seen it a million times – this often ends up as a complete mess. It can lead to a website that looks completely random in the front end, and is a nightmare to maintain behind the scenes. If you don’t choose your plugins wisely, then nothing will work properly together. For example, I once saw a website with 4 different social sharing plugins! All on the same page! If you’re going to add a plugin, think about what it does and how it fits with the goals for your website. Add plugins in a planned way, just like a professional web developer would do. As with themes, look at the company behind the plugin, the reviews or ratings and how popular it is. A popular plugin from a reputable company will help you to build a low maintenance WordPress website. With many tens of thousands of WordPress plugins available, it’s highly unlikely that all the ones you want to use on your website will have been tested together. This creates an element of risk as you’re combining software written by third parties. There’s not much you can do about this. Just try to minimise the risk by choosing well known, high quality plugins. Once your website is finished and ready to go live, look at the list of plugins in the admin. Delete any you don’t need. Don’t just leave them inactive – actually delete them. This will keep things simpler and make your website lower maintenance. Your web host makes a huge difference to how easy your website is to maintain. For example, if your hosting package comes with one-click backups, instant restores and a free staging site, then it’s much safer for you to look after. Check out our top tips on choosing the right WordPress web host. By following the tips in this article, you can create a WordPress website that is properly set up and robust behind the scenes. You’ll be using a good quality theme that is not overly complicated. Plus a well chosen selection of plugins that work well together to provide the functionality you need. This will create the foundation for a website that you can maintain yourself. And if you really don’t want to maintain your own website, check out our WordPress maintenance services. They’re an affordable way to keep your website running smoothly if you don’t have time to do it yourself. We can design your low maintenance WordPress website! 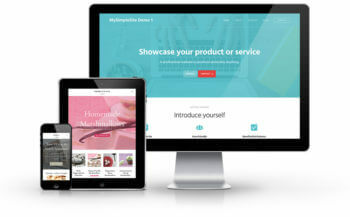 We’ve designed our MySimpleSite web design service for people who want a low maintenance WordPress website for their business or blog. Your website will incorporate all the tips in this article, keeping it lightweight and easy to maintain. And it will also look ultra-professional, of course. We can even set up your website completely free of charge! Check it out, and get an instant quote today. I completely agree with the fact that one should not use complex theme for normal websites having 10-12 pages and without any complex functionalities. Other points are also written in a simple.